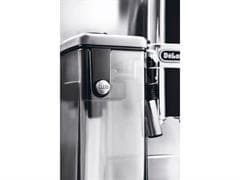 Patented AUTOMATIC CAPPUCCINO,LATTE MACCHIATO or CAFFELATTE: place the cup under the nozzle and press the selected beverage button. You can memorize your favorite cappuccino, latte macchiato or caffelatte by choosing the amount of milk and coffee. 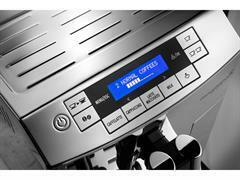 You can adjust the temperature, the quantity of ground coffee and the quantity of water.